While teaching Time Management at the PMP Certification Class for the past two years, I often receive feedback about my passion on the topic of Time Management. This passion stems from my belief that without a good schedule that directly supports the project objectives (scope, time, and cost), the project manager will struggle to effectively deliver on customer expectations. What does a good project schedule look like? Below are a few questions that help you test your schedule. 1. Activity Definition – Starting with the Work Breakdown Structure (WBS) that defines and organizes the project deliverables into a logic manner, activity definition adds the detail work to be performed to create the deliverables. This process adds 1-3 levels of detail to the WBS, and provides the basis for estimating, identifying resource requirements, and tracking progress. 2. Activity Sequencing – Activity sequencing establishes the relationship between deliverables and activities. This process defines both “hard” and “soft” logic in the schedule, that establishes the flow of the work to be completed throughout the project life cycle. 3. Duration Estimating – Duration Estimating establishes the number of work periods required to complete schedule activities (reflected in work days). This process is utilized to create the first cut of the project timeline. At this point in the process the project manager is assessing the schedule for reasonableness, not perfection. 4. Resource Loading & Leveling – Resource requirements for specific activities are loaded based upon a percent allocation for resources, or “bottoms-up” estimates of work effort. Resource leveling is utilized to resolve resource usage conflicts and over allocation of specific resources. 5. Schedule Analysis – Schedule analysis is utilized to finalize the project schedule and create the baseline project schedule. The goal of this process is to ensure that the team can deliver on customer expectations with the schedule that has been created, and that the project schedule is fully documented and well understood by key stakeholders. Ensure that the appropriate schedule related defaults have been set-up within the scheduling tool. These defaults define work hours, holidays, and other key behaviors within the scheduling tool. A good example of set-up data that drives behaviors in the project schedule is the task type field (I recommend using fixed duration as the default task type).. Schedule related risks should be appropriately mitigated within the project schedule in the form of schedule reserves or contingencies. I find it most effective to explicitly document the schedule reserves in the project schedule. Leverage dependencies in the project schedule to create a logical “flow” of the project deliverables and activities. 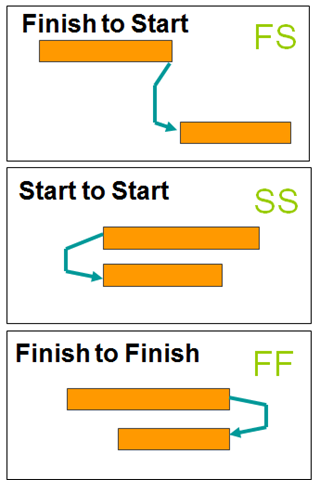 Conversely, avoid arbitrary constraints (e.g., “must start on” or “must finish no earlier than”). As things change (and they inevitably will change) with regards to how the work is actually completed, these arbitrary date constraints quickly become inaccurate. Before the first cut of the timeline is complete, milestones should be inserted into the appropriate points in the schedule. How do the milestones in the timeline compare to target dates that were established up-front (potentially committed dates from the project sponsors)? Are there actions that can be taken to close gaps between milestones and target dates? There are several techniques that represent best practices during the final schedule review. Each of these techniques will help uncover opportunities to improve the schedule or reduce the risk, but can drive undesirable results if used improperly (see the chart below).